Are you visiting Northern Italy and starting to plan your day trips from Milan? Given the strategic location of the city, you’ll have a chance to see a wide array of beautiful places filled with natural or artistic treasures situated only a stone’s throw away. 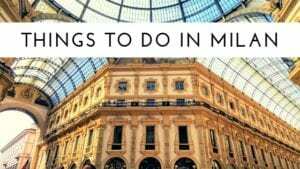 Below you’ll find the 6 Best Milan Day Trips – all of them easily reached by train or by car within an hour or two at most. 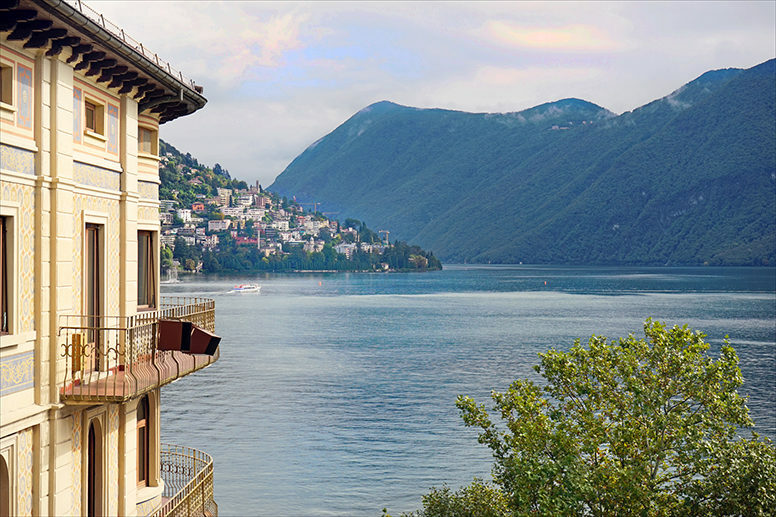 Como, located by the famous lake of the same name is one of the most beautiful Italian cities that attract millions of tourists and locals alike every single year. It is a delightful place loaded with valuable monuments, charming old town and romantic little corners that will steal your heart. 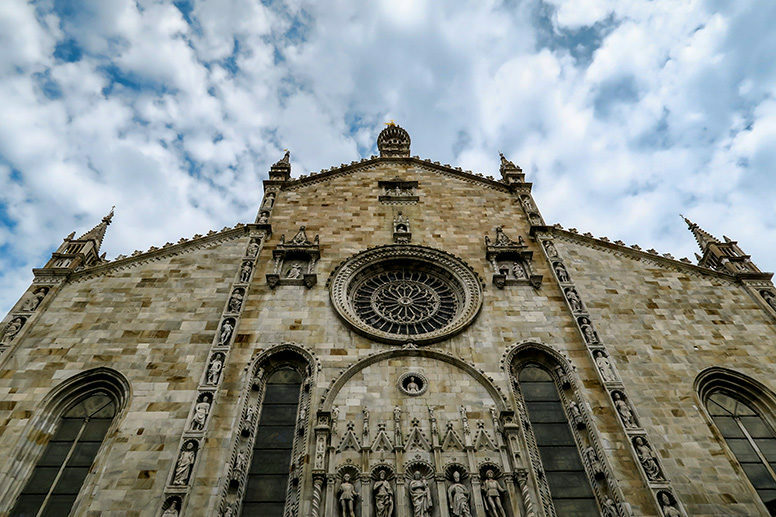 Some of the most significant attractions in Como include the Duomo Cathedral, Sant’Abbondio Church, the Volta Temple and most importantly a stunning panorama that will likely take your breath away. 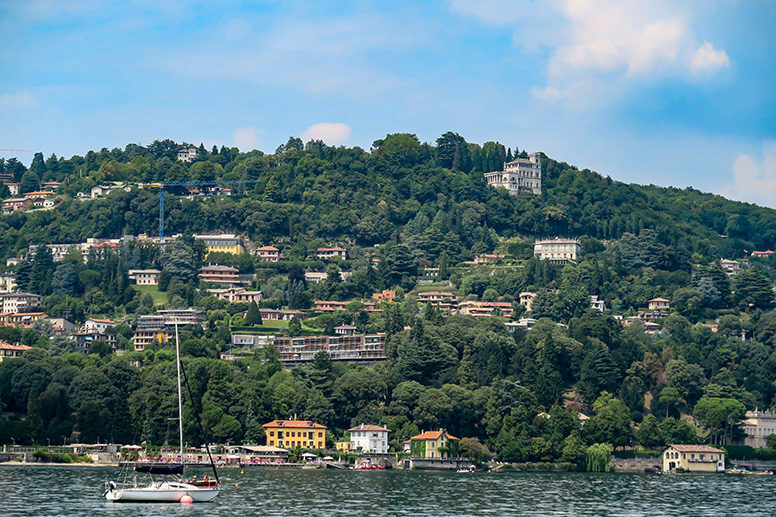 You should also check out the Como-Brunate Funicular which connects the lake with the mountain and lets you admire the city and the lake from up above – absolutely incredible. When in Como, you can also explore other charming little towns located nearby. In fact, some of the things to do in Lake Como include visiting Cernobbio and Bellagio as well so make sure to put them on your travel itinerary if you can. The best way to reach Como from Milan is to take a direct train from Milano Centrale or from Milano Cadorna. Depending on the type of train you’re going to take the journey will last 35 – 60 minutes and will cost less than 5 Euro. Pavia makes a perfect one-day trip from Milan as it is located only 28 miles away from the Lombard capital. An important center during the Roman Empire, Pavia is still a key city of the region, home to the ancient University and to a wide array of monuments and places of interest. Start your tour of Pavia from the historic center, where you’ll find the Cathedral of Pavia, San Michele Maggiore Church and Santa Maria del Carmine Church – all located a short walking distance one from another. Next head to see the Castello Visconteo – a 14th-century castle with an interesting history and stunning architecture. Your trip to Pavia can’t be considered complete without paying a visit to the Certosa di Pavia – an ancient monastery in the Gothic and Renaissance styles. 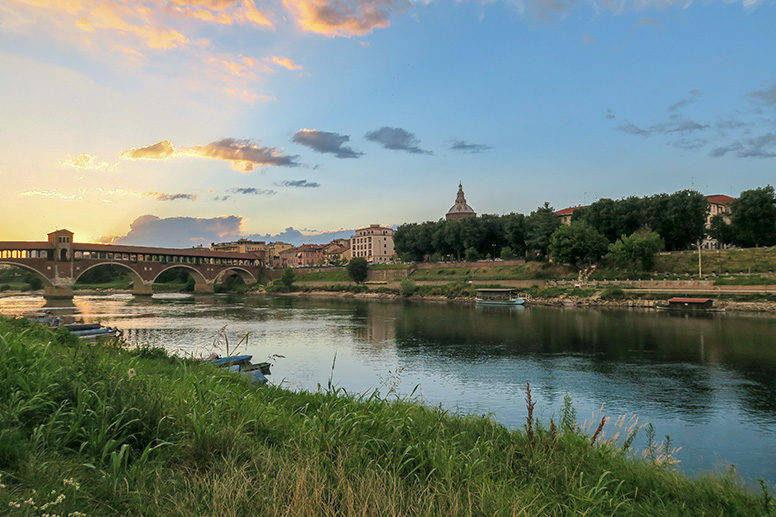 There is no shortage of green areas in the city as well so why not to end your day in Pavia relaxing and enjoying an authentic Italian gelato in one of the nearby parks. 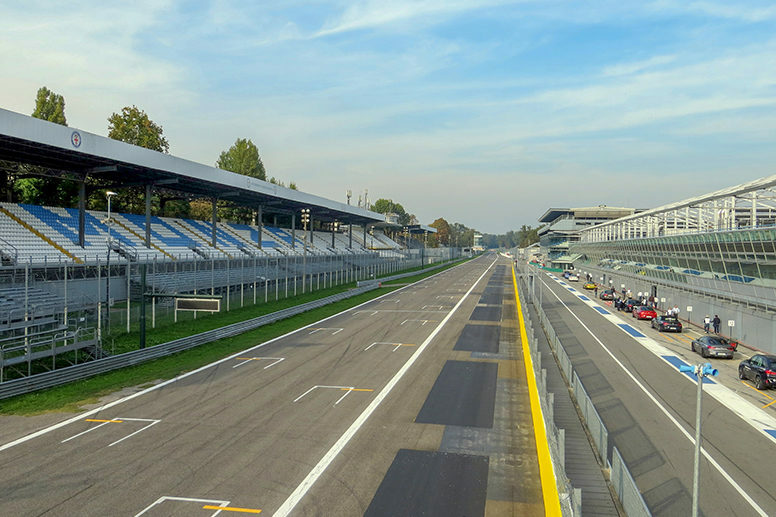 Less than 10 miles northeast from Milan lies the beautiful and very green city of Monza. Well-known across the world for playing host to the Formula One Race, this city has plenty to offer to its visitors. One of the most important monuments to see while visiting Monza is the Monza Cathedral (Duomo). It was built between the fourteenth and seventeenth centuries and features a 79-meter-high bell tower. Speaking of religious monuments we must, of course, mention the Cappella Espiatoria, built in 1910 to commemorate the murder of King Umberto I. Another important point of interest is undoubtedly the Villa Reale – an impressive neoclassical structure from the 18th century which currently hosts various art exhibitions. If you love open, green spaces check out the beautiful Monza Park that is home to a wide selection of villas, mills, bridges and of course trees – some of which hundreds of years old. This is also where the Formula One circuit is located. Monza is situated only 10 miles from the center of Milan and can be easily reached by using public buses or trains. Visiting Milan not only gives you an opportunity to discover other beautiful Italian cities but also a chance to go to see another country. In fact, Lugano in Switzerland is located about 50 miles away and is considered to be one of the top day trips from Milan. If you love cities surrounded by nature you’re in for a treat. Mountains, lake, flowers and plenty of green spaces? Lugano has it all. The lakeside features artificial beaches where you can relax, have something to eat or get adventurous and rent a boat. Another place definitely worth visiting in Lugano is the Civic Park with beautiful flowers beds situated by the water. Take a walk around the historic center where you can see important monuments such as San Lorenzo Cathedral and stop by for a typical Italian Aperitivo in one of the charming cafes you’ll find on your way. For the most amazing views head to Monte San Salvatore or to Monte Brè, both of them can be reached by funicular railways. 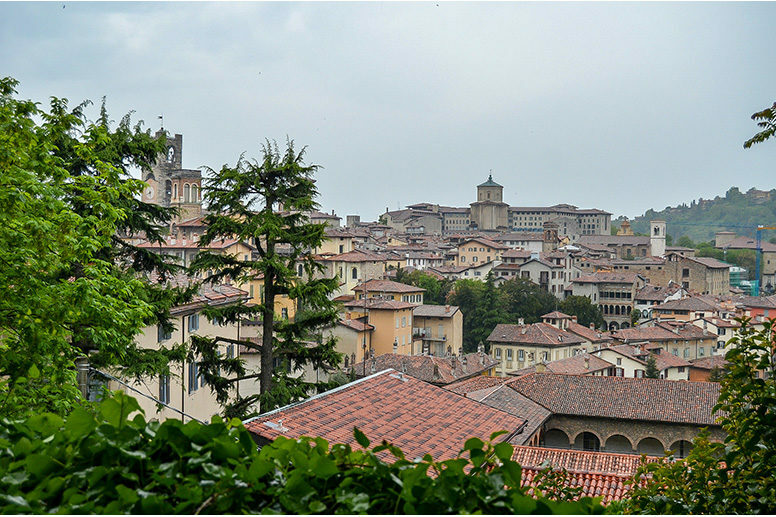 Bergamo is a perfect mix of two worlds: the old one filled with history and represented by la Città Alta (Upper City) and the modern one represented by la Città Bassa (Lower City). As you may imagine most of the attractions are located in the historic area of Bergamo and this is where I suggest you to start your tour. The medieval streets of Bergamo Upper City will lead you to the Citadel – the legacy left by the Visconti rule, to the charming Piazza Vecchia and to the 12th century Palazzo della Regione. the Colleoni Chapel and the Bergamo Cathedral. When it comes to the most interesting things to see in the Lower City I have to mention the Teatro Donizetti, the Accademia Carrara and Saint Bartolomeo and Stefano Church. Before leaving Bergamo and heading back to Milan make sure to try their typical dish – delicious and super nutritious polenta. 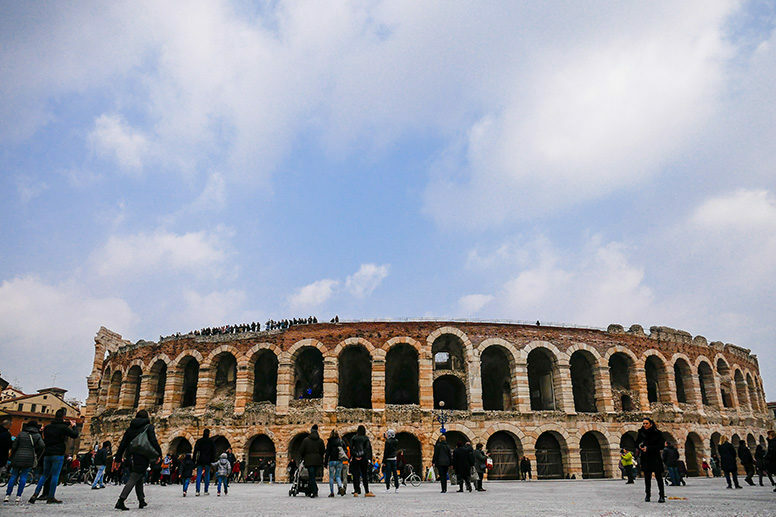 Our list of best day trips from Milan wouldn’t be complete without Verona – a UNESCO site filled with architectural and historical wonders. 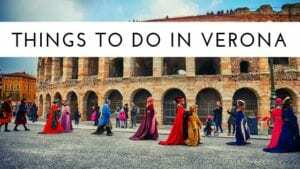 One day is more than enough to explore most of the things to do in Verona and you can easily walk from one spot to another, enjoying lovely surroundings on the way. Start your tour around the city from Piazza Brà – probably one of the most famous squares in Italy. This is where the ancient amphitheater – Arena, built by the Romans is located. Next, head to the Piazza delle Erbe, have a quick and delicious lunch at one of the local restaurants there and soak in the joyful Italian atmosphere. 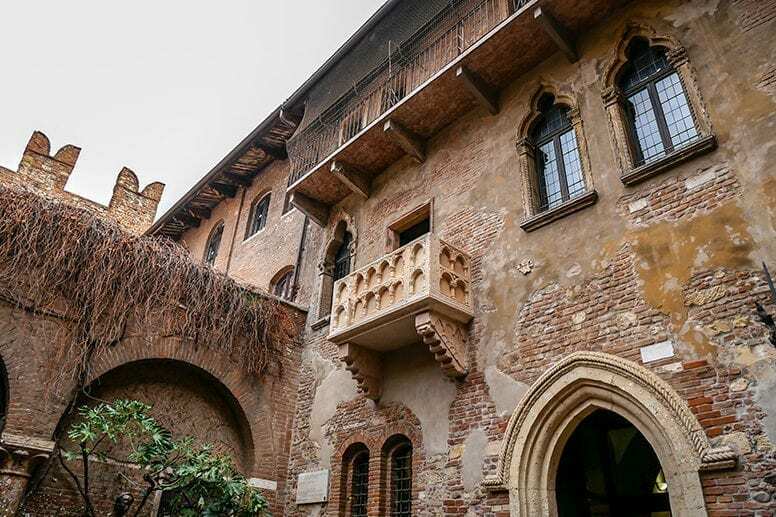 Of course, you can’t miss the most emblematic place of Verona and that is Juliet’s House. Take a picture of the famous balcony and stop to admire the graffiti and love-themed tickets left by romantic visitors. And if you still have some time left, go and see Romeo’s House too! Pavia looks awesome. Would one day be enough to visit it? Pavia is such a charming city, easily reachable from Milan and at the same time quite independent from it. One day could probably be enough if you want to visit the main attractions (Certosa di Pavia, Duomo, Ponte Coperto and the most important churches). Of course, if you have more time, I would recommend spending another day to enjoy the city center, the nice restaurants and the typical local markets.